AḤA (AḤAI) II. 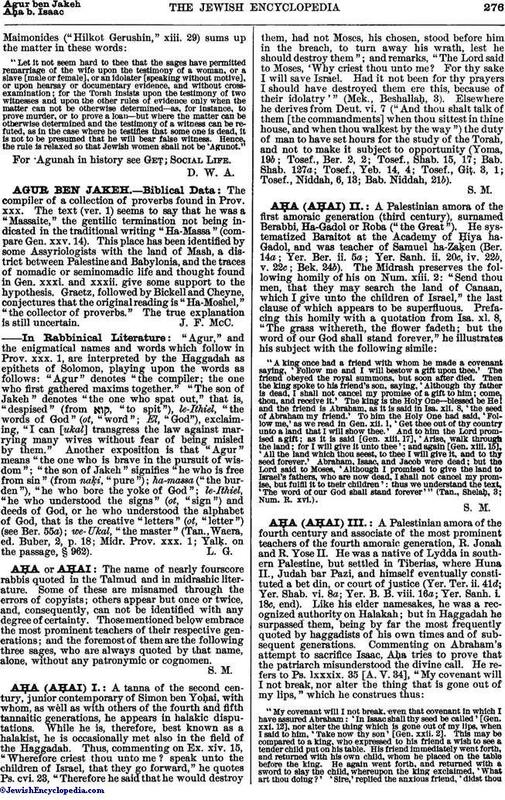 A Palestinian amora of the first amoraic generation (third century), surnamed Berabbi, Ha-Gadol or Roba ("the Great"). He systematized Baraitot at the Academy of Ḥiya ha-Gadol, and was teacher of Samuel ha-ZaḲen (Ber. 14a; Yer.